Sydney makes her Kokandy Productions debut! 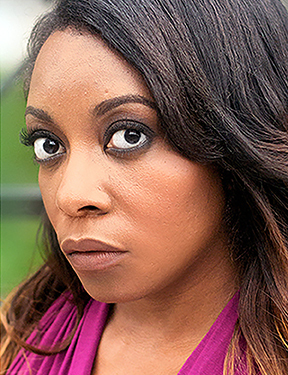 This Jeff-Nominated and BroadwayWorld.com-Nominated Actress was most recently seen in Octagon!, the critically-acclaimed PROWESS (Jackalope Theatre), and The Fly Honey Show (The Inconvenience). She also lives in the world of musical theater, where she was featured in Bells are Ringing (Porchlight Musical Theater) and Myths and Hymns (BoHo Ensemble Theater). It was a great honor for her to portray “Sarah” in Ragtime (Big Noise Theater) and the titular character in Dessa Rose (Bailiwick Chicago). Other credits include: The Color Purple (Mercury Theater), Smokey Joe’s Cafe (Theo-Ubique), Cats (Theo-Ubique), Hairspray, and Nunsense. Sydney is represented by Stewart Talent.